Be it public or personal, spiritual or material, enduring or ephemeral, there’s a natural human impulse to make note of the significant that surrounds us. In this upcoming exhibit opening Mar. 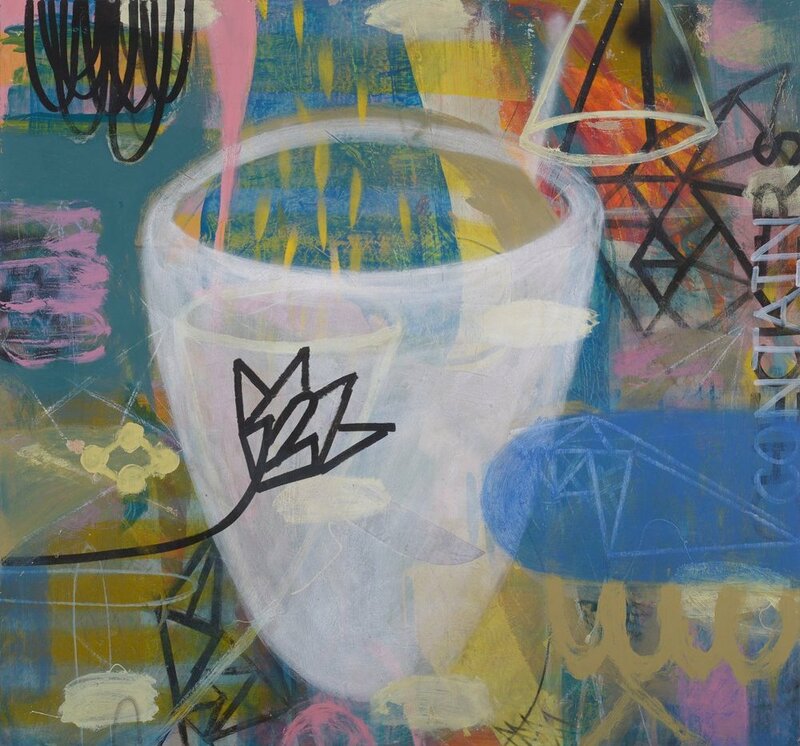 2 at K Contemporary gallery in LoDo, celebrated Denver painter and mixed-media artist Michael Gadlin will explore the infinite shades of significance in an eloquent visual language at once deeply individual and instinctively universal. 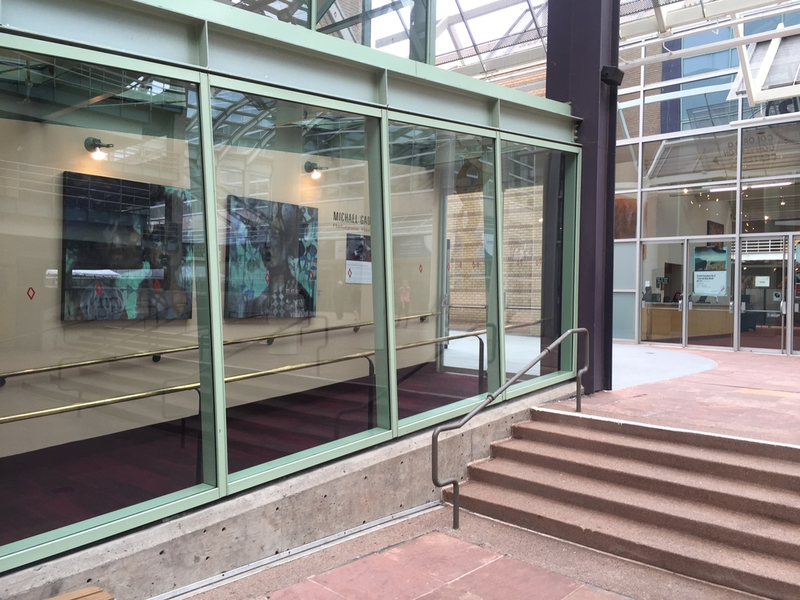 "Denver Art: Where We Are and Where We Are Going"
Ray Mark Rinaldi is a Denver-based arts journalist whose work has appeared in publications across the country. He writes a weekly column on culture for the Denver Post and has recently contributed to the New York Times, Dwell magazine, Hyperallergic, the Chicago Tribune and 5280. He’s a former fellow with the National Arts Journalism Program at Columbia University, a 2018 recipient of the Rabkin Prize for Visual Arts Writing and the editor of the online visual arts journal One Good Eye. Michael Gadlin began his art education at the Art Students League of Denver, followed by the Metropolitan State University in Denver and the New York’s prestigious Pratt Institute. He received a residency at La Napoule Art Foundation in France. A former host of ArtScene on Channel TV8 and the current host of Arts District on Rocky Mountain PBS, Gadlin keeps close pace with Denver’s fast-evolving arts environment. He sits on the board of directors at both, Denver’s Museum of Contemporary Art and the PlatteForum. Gadlin is a former co-owner of ArtHaus Gallery and the youngest artist ever to win Best of Show at the Cherry Creek Arts Festival; his work is in the collection of the Vance Kirkland Museum’s permanent collection, Mile High Denver, as well as in numerous private collections nationally and internationally. Doug Kacena- 2017 Emmy nominated professional artist, Co-Owner of K Contemporary, Co-Owner of Artuvus Studios, partner with 1261 Gallery and Abend Gallery in 1412 Gallery Collective and an art collector himself, began his artistic career over 20 years ago with his first gallery in Denver. He received his undergraduate education in Fine Art (Painting) and Art History (Modern & Contemporary American Art) from the University of Colorado in Boulder. Doug is very active in the Colorado arts community believes strongly in supporting and growing the Denver art scene. Former Gallery Director of Evergreen Fine Art Gallery and Sculpture Garden in Evergreen, Colorado, and is represented by K Contemporary in Denver, Colorado. His most recent project "Crossover" is the subject of an upcoming PBS Special in production with Colorado Public Television (CPT12), for which Shared Visions / Schler Productions received the 2017 Emmy nomination. Louise Martorano is the Executive Director of RedLine, a non-profit contemporary art center and artist residency located in Denver, Colorado. RedLine's mission is to foster education and engagement between artists and communities to create positive social change. Under her leadership, RedLine has received the Denver Mayor’s Award for Excellence in the Arts (2014 & 2015), the Greenway Foundation’s “Partner in Change” award, and recognition from Denver Public Schools for excellence in community engagement. In 2017, she was awarded a Livingston Fellowship for leadership from the Bonfils-Stanton Foundation. Martorano holds a M.H. from the University of Colorado at Denver with a focus in Contemporary Art History & Music. She also sits on the advisory committee for the Visiting Artist, Scholar & Design program at Rocky Mountain College of Art + Design, is the Board Treasurer for the Global Women’s Empowerment Fund, and is on the Board of Trustees for the Harmony Hammond Trust. “As of Now” continues through Dec. 29, 2018 at K Contemporary. Michael in his Denver studio, Nowthateyesee (behind him), Mixed Media on panel, 80 x 72 inches [sold]. “There’s no better language for what's in my heart and my soul until I paint. It’s really about letting go to get closer to the truth." Mixed Media on panel, 80 x 72 inches [sold]. Like a child discovering the sandbox for the first time, I begin this work by seeking an ingenuousness that felt open to all possibilities as an unexplored pursuit. Discovering new symbols and relationships around me. Holding only a nonobjective agenda and choosing tools that were anomalous for the process of laying down material including the paint. Finding a more primitive and exhaustive method to express my desires. Arriving at a context that feels refreshing to the political world around me. Piecing together forms that seem to have long coexisted. Like play-as-you-go, shapes and forms begin to collide and make interactions that feel undeniably ostentatious. Making a visual story through the history of marks. I went out of the way to use tools that I found or made. I wanted the tools to provide a bit of a struggle with laying down the material. "I need to feel tension against the push of the paint onto the surface. Creating marks that translate much less predictably. Making for an interactive play that speaks serendipitously." "The Buell proudly unveils Michael's latest work, large in scale and a stunning addition to the Buell's galleria. His technique is centered around very loose origins, allowing chance and intuition to play the major role. He has delivered a series of exuberant paintings, in which abstraction and representation engage and coalesce into psychologically charged images." Michael Gadlin takes the lead on the walls; he’s someone who actually exhibits all the time. The work included here covers a lot of ground, and the range is so broad that his section could almost be mistaken for a group show. The large paintings are the most important — not just because of their size, but also because of the ambition revealed in their dense, complex and heavily painted compositions. Gadlin not only does the kind of abstraction seen here, but he also works figuratively, as seen in the abstracted faces that make up his current solo at the Buell Theatre. - Michael Paglia, Art Critic; Westword.